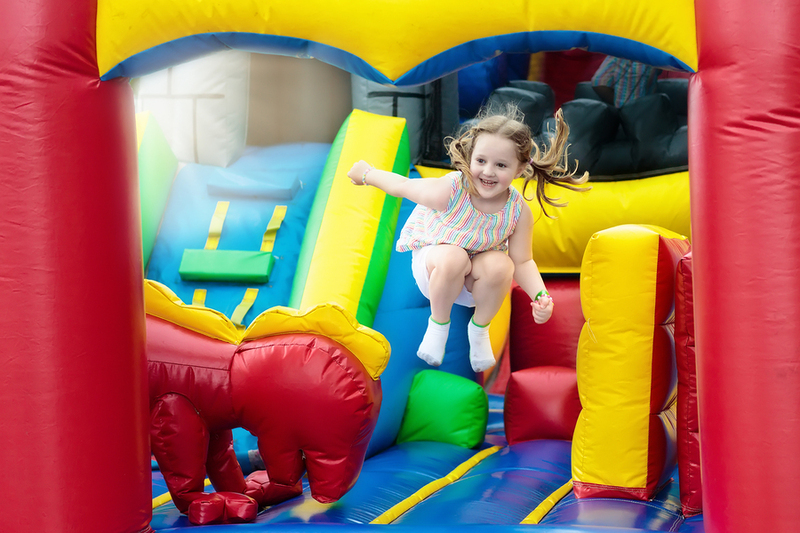 Bounce Around at Open Play Day at Bounce ‘N Round Inflatables August 6 | Joe Hayden Real Estate Team - Your Real Estate Experts! There’s lots of ways to have summer fun. Unfortunately, lots of them involve being out in the miserable heat. This August, escape the dog days of summer and go to an indoor play place at Bounce ‘N Round Inflatables. Bounce ‘N Round Inflatables is open for an Open Play day this August. Be there from 9:30 am to noon, and bring kids up to age 12 so they can bounce around. Here, they can do that a whole lot. The play center has more than 4,500 square feet of inflatables to jump around on. That includes the Radical Run obstacle course, which has a 15-foot slide. Kids can also bust a move in the Disco Dome bounce house, complete with lights and speakers. They can also go into the Animal Kingdom, fly down the Retro Slide or play Skeeball. While they play, you can enjoy being out of the heat while you talk to other parents. Tickets cost $6 per visit. Just go to 2510 Plantside Drive to participate. You’ll be in Jeffersontown, a great neighborhood to visit for family fun. J-Town is well-known for its community gatherings and its wide array of family-friendly attractions. But after you see more of J-Town this August, you’ll know one more thing about J-Town, it’s got great real estate, too. Bounce 'N Round is in the heart of J-Town, surrounded by other stuff kids love to do. The Sports Center, the trampoline park, the climbing gym, the Fun Dome and Bluegrass Karting are all just minutes away. Multiple gyms, a bowling alley and a movie theater are all nearby as well, not to mention a ton of eating and shopping options. Jeffersontown is a large community, and this neighborhood truly has it all. Any fun you want to have, any workout you want to do, anything you want to shop for or eat is already right here in J-Town. But that's just one of the reasons why so many Louisville families love living here. When you get a look at homes in J-Town, you won't have any questions about why so many families come here to live. Jeffersontown is full of large family homes built in classic and contemporary styles. This is a neighborhood of big yards, multi-bedroom houses, gorgeous places to live built in brick, stone, siding or a combination of all three. Homes here have attached garages, open floor plans and extra living spaces. There are brand-new homes being built in J-Town right now, because the demand for homes here continues to be high. Go see this beautiful neighborhood this August, and you may start demanding to live here, too!